Creating high-quality maps for our encounters seems to be an almost universal quest amongst DMs. Everybody has their favorite approach: from Chris Perkins’ Map Fu with the venerable wet-erase battlemat to published poster maps and Dungeon Tiles. Recently, Mike Shea released a short video in which he demonstrated the benefits of sandwiching your dungeon tiles between black toolbox liner and an acrylic sheet. I’ve been using the acrylic sheet for awhile now and can vouch for it’s awesomeness… more on that later. But I don’t use Dungeon Tiles or poster maps… I’ve always wanted to, but the limited selection of settings and pieces always leaves me wanting more. In the past I’ve played with creating some of my own tiles but, after a lot of work, I had that same “locked in” feeling. What I needed was an almost infinite source of high-quality maps that I could tweak or re-purpose as needed. A number of great bloggers have written commentary on the use of action points in 4e, and many have made good suggestions as to how to make the use of action points a bit bolder. 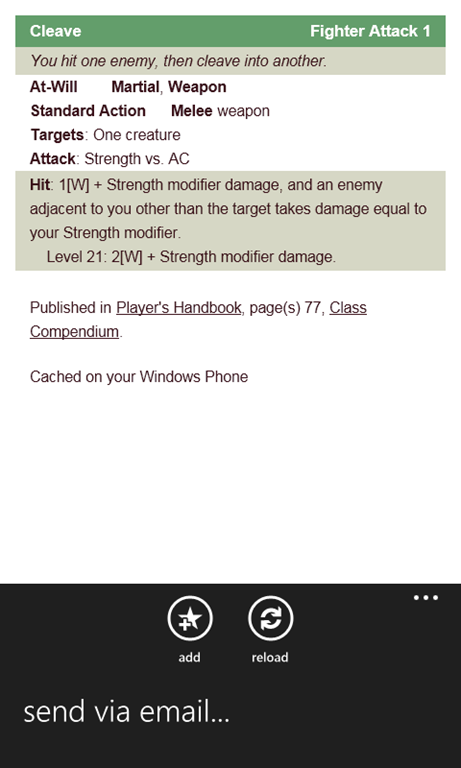 Ameron’s “Putting More ‘Action’ in Action Points” on Dungeon’sMaster.com, “Other Uses for Action Points” on Polyhedral, and “Fun with D&D 4e Action Points” by the Chatty DM come to mind. I’ve been struggling with this question myself as my group hits our one year anniversary of play. More often than not, action points are being used as a simple re-roll which gets the job done mechanically, but fails to create the big moments that I’m looking for in our encounters. So, David and I put together a set of simple house rules that attempt to encourage bold play without nerfing the flexibility of the system as a whole. These ideas definitely build upon suggestions others have already made but, hopefully, take them one step further. While this isn’t my first post to this blog, it’s a new year and in 2012 I plan on increasing the activity you’ll see here. As such, I thought it made sense to take a few minutes to introduce myself and our first guest contributor at strangedice.com, David. There is a lot going on in the D&D community, and with WotC’s recent announcements, I expect that there will be a lot more in 2012 and beyond. Exciting stuff… and I’m looking forward to it! I’ve been playing Dungeons & Dragons since I was in third grade in the 80’s. Through junior high and high school I poured through printed materials, playing when I could get a group of friends together. I spent hours painting minis, designing dungeon crawls, and progressing my favorite character up to Immortal status using 2nd edition rules (and ignoring some of them too).In college I DM’ed a large group (as many as eight at one time, I think) for a couple of years in a weekly game, and had a great time doing it… ahh, memories. 🙂 Unfortunately, after college I didn’t play for years. A little over a year ago I got the itch to play again largely because of a couple of really good podcasts (Major Spoilers’ Critical Hit primarily). David and I started talking about putting together a game and a couple of months later we had four players ready to go. We have since grown to six (with 5 actively playing right now) and have settled into a pretty good rhythm. We’re playing 4th edition and I love it… that’s not to say that there aren’t things that I think could be tweaked, but we’re level 7 today and happy. Not unexpectedly, over the past year I’ve found myself with the kinds of spin-off projects that DM’s often undertake to make their game better – houserules, papercraft, game organization, etc.. And that brings us to strangedice.com… a place to post some of my thoughts and ideas about role-playing with Dungeons & Dragons and hopefully give back to a community that has given me so much over the past year. That’s it and that’s me. I hope you subscribe and I look forward to hearing what you think of some of the projects I’ll be working on in 2012! While the details are a bit fuzzy, I’m pretty sure I started playing Dungeons and Dragons in the 4th grade. I picked up the Players Handbook and DM’s guide at a garage sale. I went on to buy the original Red Box, and the Blue Expert set. I spent hours reading through modules that I poured what little money I had into. I played and DM’d an equal amount, running friends and siblings through classics like Village of Homlet, Lost Caverns of Tsojcanth, Beyond the Crystal Cave, Castle Amber, and many more. My sister still holds a grudge because she was killed by a snake the one and only time she decided to play with me and my brothers. In college, I found a great gaming group that went on to be my closest friends from college. We played weekly for about a year and a half and then drifted apart, and I continued adventuring as a solo for a while. To this day I ponder what surprises the world my DM came up with had in store. John wrote about how we got into playing again. Since we started, I’ve been completely obsessed: consuming blogs, podcasts, and Insider material. I’ve recently started DM’ing for my 10 year-old son and 4 of his friends, and he’s now equally hooked. I’m really looking forward to sharing thoughts on our game, and the game as a whole, and hearing your comments. I’m still playing with the idea of a simpler character sheet to run at the table. I realize that this is one of those decisions that is based purely on personal preference… cards work great for some people, the CB-generated sheets for others, power2ool.com, etc.. 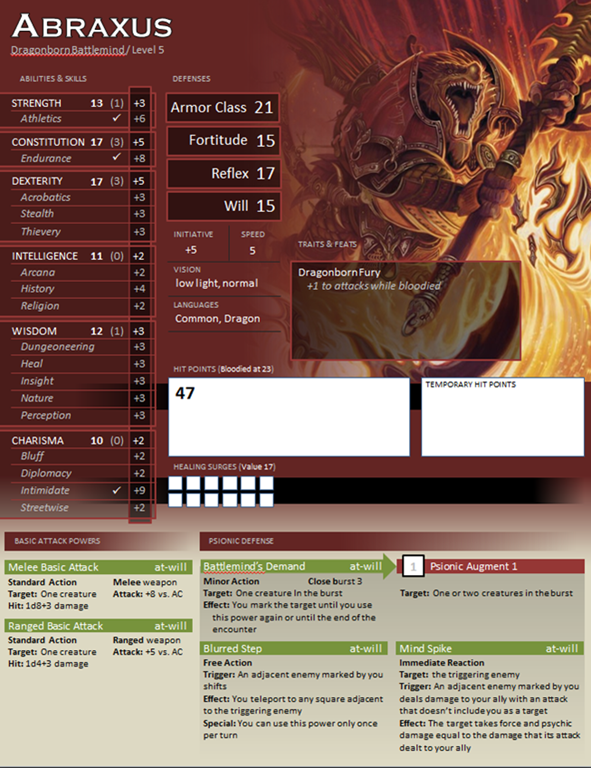 In this case, I was interested to see what would happen if I took the D&D Encounters character sheet format to an extreme… could I get a 6th level character on 2 sides of a single page. I built these sheets for 4 of the 5 players in my regular game (the Psion is very happy with his card sleeves). 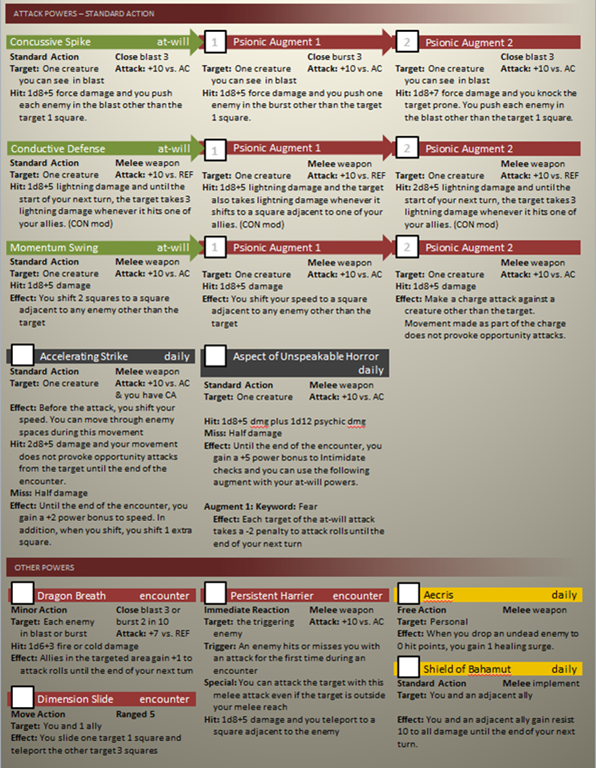 I love to hear how people run their game or their character at the table and recently read Dixon Trimline’s post, The One-Page Character Sheet, on Critical Hits. Last year I played a few games of D&D Encounters and quickly found that I really liked the half-page, two-sided character sheet (card) the pre-generated characters came on. As I am always looking for ways to tweak the bits in my game, I sat down to recreate the same look and feel in a full-page, custom character sheet for one of my players. I set out to create a single-page sheet for a heroic tier character, but was ultimately unable to get the aesthetic I was going for and keep it all on one page so I settled on front & back. I’m sure this could be condensed to one page if I gave up some artwork… but what’s the fun in that? 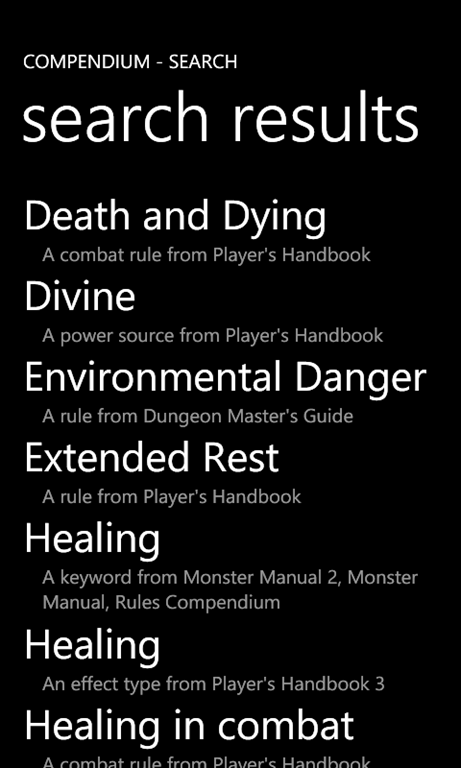 Obviously, continuous care and feeding would be required here as the character levels up and gains more powers and magic items. Clearly one’s character sheet is an intensely personal choice; some love cards cut out and slid into protectors, some play with the CB sheet as printed, and others spend time to create a custom view of their in-game alter ego. 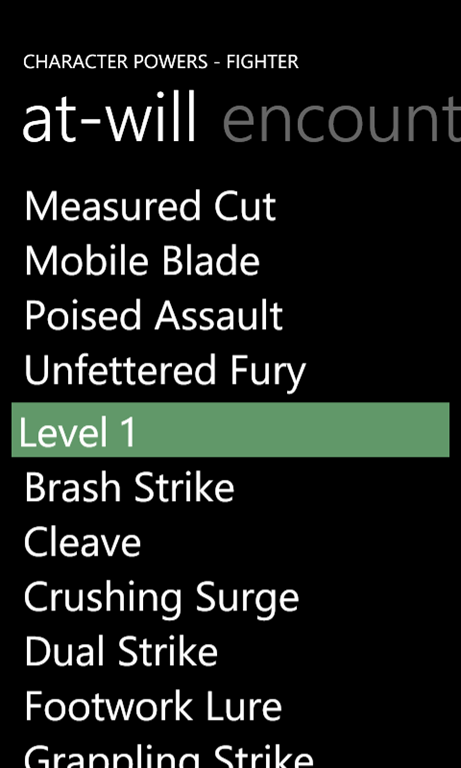 It would be really nice if there was a template-friendly character export from the CB that could be fed through a style sheet transformation to generate custom sheets. 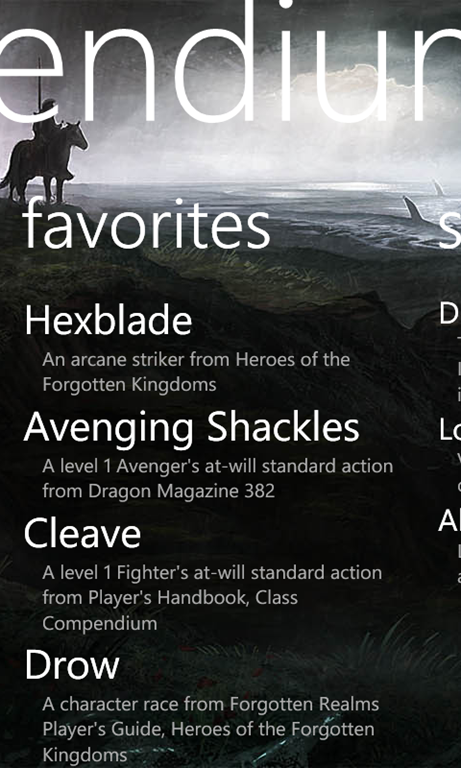 Here’s what I propose: In addition to the full XML export the CB provides today, I’d love to see a simplified XML snapshot that just saves the attributes that define my character right now (abilities, feats, skills, powers, etc.). If such a thing was available, I have no doubt that we would see a wide variety of CSS templates, Excel files, and other custom sheet generators pop up on the Internet. I would think that it would also offload the WotC team from developing new character sheet options for the CM print dialog, while maintaining control over the actual character generation function. You’ve got to check out this D&D video. Roll a D6 from Connor Anderson on Vimeo.